WINE CLASSES are HERE! Join our bar manager Terry as he shares his wine knowledge in an approachable, upbeat & social environment, click the calendar link for upcoming classes and tastings. CHECK OUT OUR MONTHLY SOCIAL WINE TASTINGS! Grab your personal (take-home) wine glass & literature, and enter our Wine Bar for a walk-around, social wine event featuring up to 21 wines that pertain to a special theme! Pouring professionals explain each wine as they pour samples, and you'll learn about the wine as you sip. A buffet of complimentary appetizers will also be served. BRAND NEW!!... "Mid-Week Minis" Let us help you get through your week with one of our brand new Mid-Week Mini Wine Classes! Look for the classes on two Wednesday evenings a month for a 60 minute fun, informative and social tasting with bar manager & Sommelier Terry Teske. Each class will introduce you to a new theme and open up your senses and mind to the wonderful world of wine. Small bites will be included as part of the class. Keep an eye on the calendar for these Hump-Day Happenings! Let us help you get through your week with one of our brand new Mid-Week Mini Wine Classes! 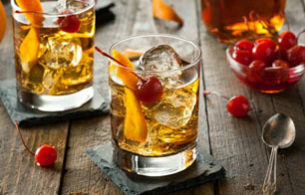 Join us tonight for a 60 minute fun, informative and social tasting with bar manager Terry. Get ready to learn about the style differences between both regions' wines, the history, labeling, and how to recognize similar wines from both regions. The two included small plates will be unique, and not items featured on our regular wine bar menu including some regional flavors. Let us help you get through your week with one of our brand new Mid-Week Mini Wine Classes! 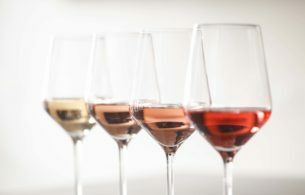 Join us tonight for a 60 minute fun, informative and social tasting with bar manager Terry to learn about a variety of four different rosés that will have you feeling refreshed and relaxed. These four samples will run the gamut on the different ways you can drink this pink wine, but don't worry-- these wines will be sure to please! The included small plates will be unique, and not items featured on our regular wine bar menu including some regional flavors. 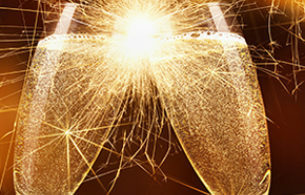 Sip and sample up to 21 wines from all over the world and nosh on the included buffet of appetizers set out to perfectly complement each bubbly sip. 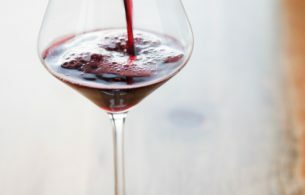 Tonight get ready to explore different styles of cabernet in this wine class, as Terry shares tastes of different cabernet wines. You'l get a chance to understand better the timeless battle of old world versus new world wines and even taste the geographical differences in cabs in the northern versus southern hemisphere! Our wine classes typically include a little something to help cleanse your palate, but we highly encourage you to come by the wine bar at least a full hour before class if you'd like to enjoy some small plates in the bar, or eat a light meal before attending.